When Dr. Marco Meniketti, an independent archaeologist, confirmed that this was Captain Kidd’s 315 year-old map, we were very excited. However, as seen in the video, the map contains a variety of encrypted symbols and is not readily decipherable. We need your help to decipher these symbols and find Captain Kidd’s treasures; therefore we’ve decided to digitize the map and make it accessible to everyone. 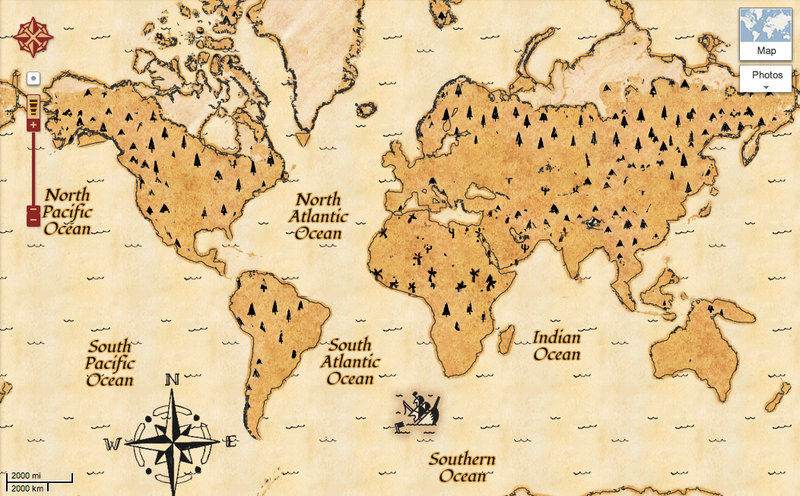 To access Captain Kidd’s treasure map, click here or on the “Treasure” button in the top right corner of Google Maps. If we all work together, we can solve the mystery. Be sure to follow the Google Maps G+ page as we work together to decipher the clues to Captain Kidd’s buried secrets. Update: 4/1 6:44a (JST) Due to our nascent nano-scanner technology we weren't able to scan to the closest zoom levels. If you come across a blank map, zoom out to get back to the treasure map. 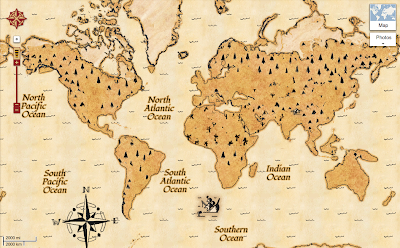 Update: 4/2 12:16p (PDT) Upon further analysis of the hidden clues in the map, we've confirmed that the map does not belong to the famous pirate William Captain Kidd but was instead created by a Google engineer as a joke. April Fools!